I have a few machines already in stock that can be used as “donor” units that can be stripped down and used as the starting point for your customized machine. When acquiring these machines, I look for EM (electro-mechanical) units from the 1960’s and 1970’s. Most photos below show machines in the original condition when acquired. Don’t worry, I get the machine working as designed first before I do any mechanical or electrical alterations. Prices for donor machines will vary depending on many factors, but typically will start at about $1000 if you want one as the basis for your customized unit. If you already have a machine that you want me to customize, that’s OK too. Please refer to the pictures and descriptions for each available machine below. 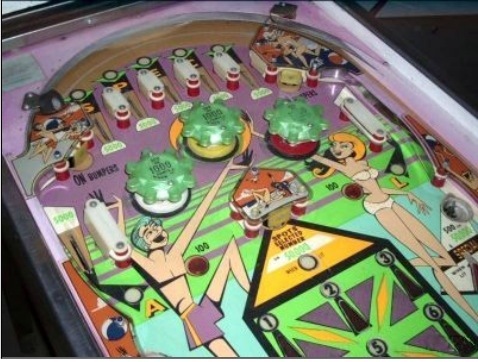 For details about the donor game features, I have provided links to the excellent website: “The Internet Pinball Machine Database”. It will have additional details for every game. 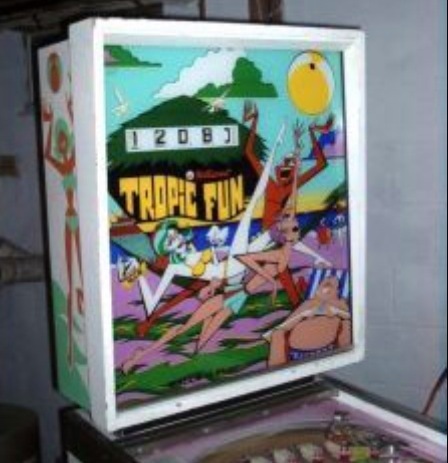 Tropic Fun– Available as a donor machine for $1,000. Manufactured by Williams in 1973. Wing Ding by Williams- 1964. Available as a “Donor” machine for $2,000. This game is in excellent shape and may be worth restoring to original condition. Very unique backglass design- hit various targets to have up to 9 balls shot up into the backglass. Once 9 balls are accumulated, the player earns an additional “free” ball to play. 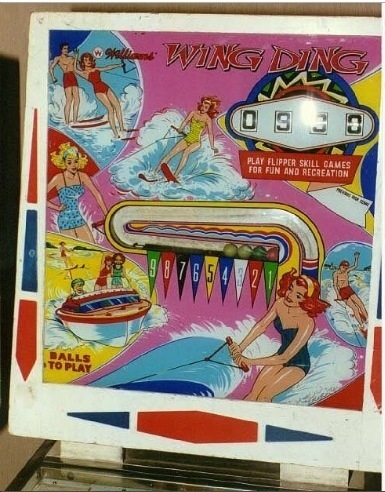 Wing Ding playfield- it is also in excellent condition and worth restoring- but this machine is available as a “donor” machine to use for customization. Travel Time by Williams -1973. Available as a “Donor” machine for $1,800. 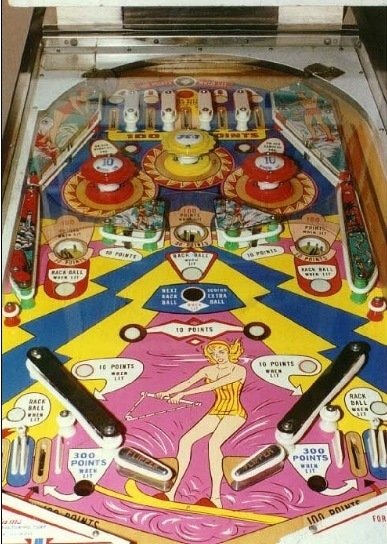 A very unique game in that the player has an unlimited number of balls to play. 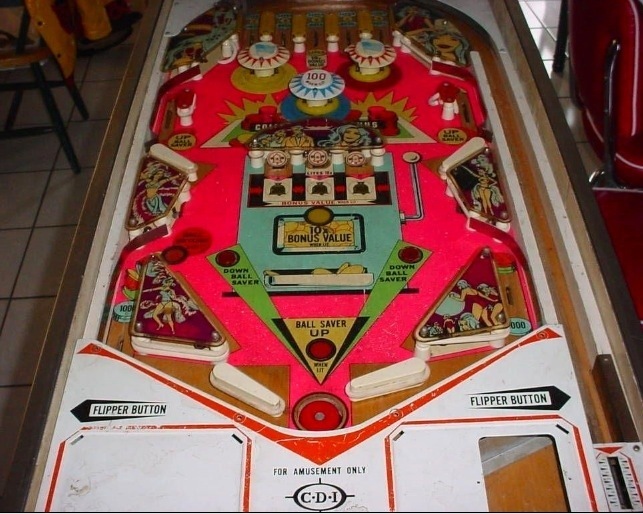 There is a clock (simulated with lights) on the playfield that counts off time. The game is over when the clock reaches zero and the last ball drains. However, there are various ways to stop the clock and even add time to the clock. The more time you have, the more points can be scored. 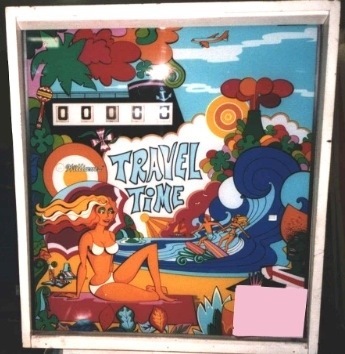 Travel Time playfield. 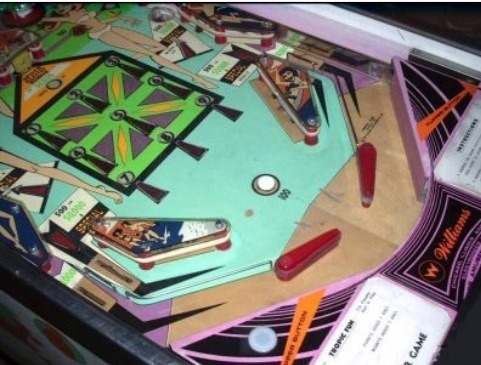 Note the clock at the center of the game. This machine is available as a “donor” unit and I can think of a few creative ways to customize something around this clock. 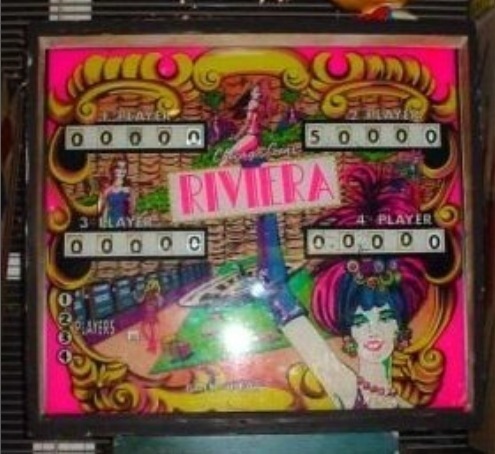 Riviera by Chicago Coin – 1973. This game is available as a donor machine for $2,000. This is a 4 player game that could be converted to 2 player game. That would free up some space to be more creative in the customized game design. 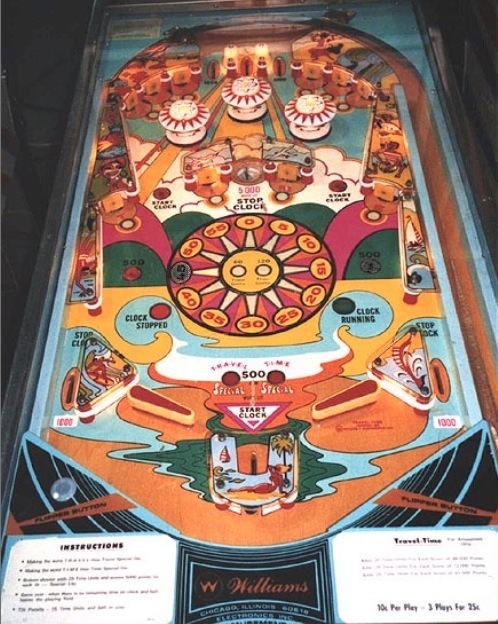 This is a Captain Fantastic and the Brown Dirt Cowboy home-use pinball game from the late 1970’s. These newer “home-use” units use cheaper components than the regular games, but this one has a solid state design-so it’s not an EM (Electro-Mechanical) model that I prefer to work with. But it is available as a donor unit for only $800.